Usually people make a mistake and eat more at dinner instead of lunch. 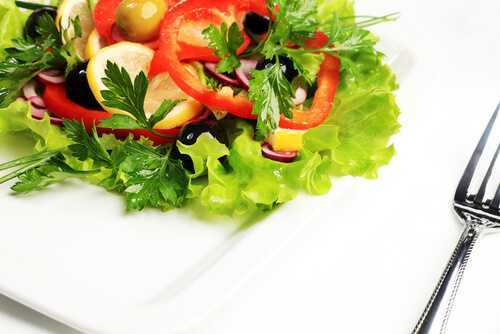 Try to control your menu for lunch, it should give you energy and provide your body with good feelings. It is very important that you never overeat at dinner. Your right choices for lunch will help to avoid this. I’d like to recommend you some useful and tasty foods which can boost your energy during the day and certainly will make you resistant to overeating. There is a great variety of such food products. They include the nutrients like fiber and protein which are very important for our health. If you eat these foods for lunch you will not be so much hungry at dinner and the amount of food you consume will be less. Make it a rule to include these foods to your everyday lunch menu. This plant can be a wonderful choice for vegans. 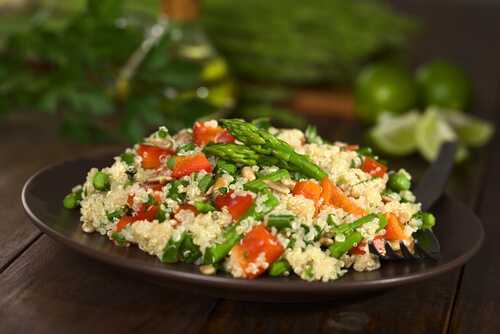 It can be surprisingly but quinoa is rich in proteins and really it is a good substitution for meat. This ingredient also contains a lot of carbs but those which are useful for our body. Besides quinoa is a source of some amino acids which help to control the blood sugar level in your body and enable your brain to work more productively. If you need more vitamin B you can easily find it in quinoa. It will provide a good metabolism for your body. There are also some other advantages of this useful plant such as regularity, healthy hormone secretion of insulin and good mood for the whole day.